If you’re looking for Mughlai/Indian food, Doosri Mehfil is one place that’s going to make your taste buds tingle like nothing else. Well, this is your spot for any sort of mehfil. The stuff straight out of their tandoor is absolutely staggering; just try the Chicken Malai Tikka they have to offer. If you like to have your taste buds set on fire, order their Chicken Tikka. Try the Chicken Bharta as main course with the garlic naan, and you’re almost certain to have a foodgasm. 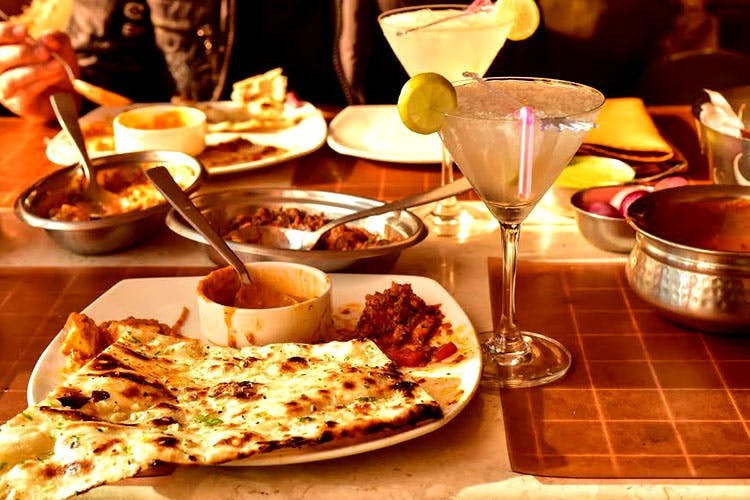 We had the Paneer Lawabdar and the Dal Makhni as well, but you know those times when everything that’s pretty damn good gets overshadowed by something? That’s what the Chicken Bharta will do. The second floor can transform into pretty much a club when you want it to. Hence, two completely different atmospheres, and that probably explains the name. There’s a small bar as well, where you can get the usual paraphernalia of drinks. And, there’s live ghazal in the evenings – six days a week. Now that you’ve heard of this place, the only reason you’re not going to go is that you’re too busy playing Space Invaders.